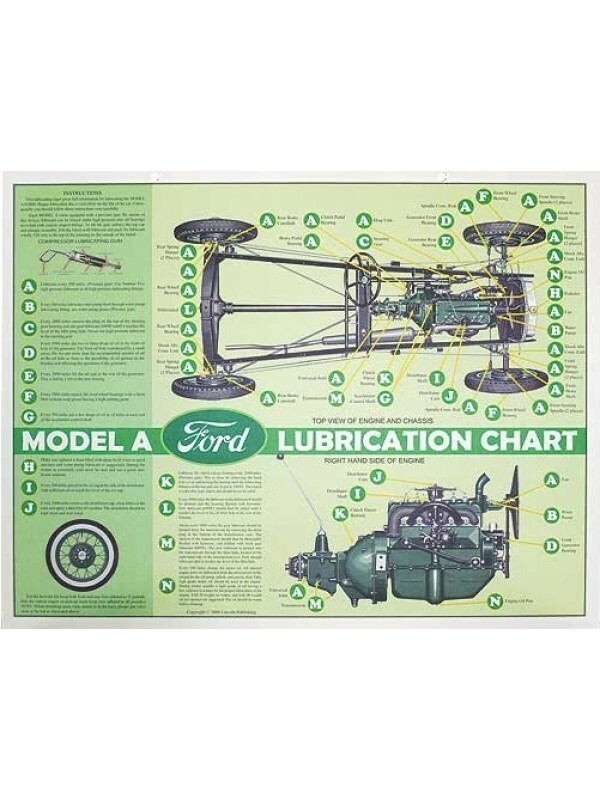 Model "A" Lubrication Chart- Cool reproduction print of and old Model "A" lubrication chart. 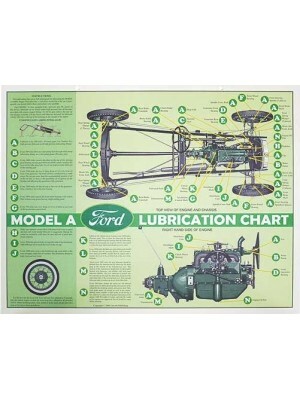 Shows where all the lubrication points are on the Model A chassis and how often they should be greased. 22"x17".